Crown Princess Victoria of Sweden attends the Nobel Prize Banquet 2018 at City Hall on December 10, 2018 in Stockholm, Sweden. Princess Victoria glammed up her hair with the Connaught diamond tiara. 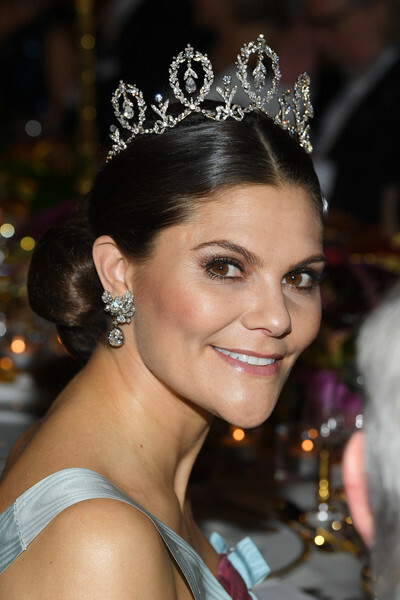 Princess Victoria attended the Nobel Prize Banquet 2018 wearing her hair in a center-parted chignon. Princess Victoria matched her tiara with an equally gorgeous pair of dangling diamond earrings.